28-30 November 2018. Bangkok, Thailand. Accelerating the End of Hunger and Malnutrition. Informal cross-border trade in Africa – What do we know? How can it be supported? 13 December 2018. Webinar. This second AgriFoSe2030 policy briefs webinar focuses on how to profile your target audience, and then how to formulate and deliver compelling messages about your research. 18 December 2018. Brussels. at the DEVCO InfoPoint. Coffee: Behind the success story. Can coffee production still be sustainable in times of climate change and price crisis? Presentation of the main results of a recent study which analyses the evolution of value distribution within the coffee sector, evaluates the social and environmental impacts generated along the chain, and estimates the hidden costs offset on public authorities and third parties. This analysis is based on detailed case studies of value chains between France (on the consumption side) and Colombia, Peru and Ethiopia (on the production side). Discussion wase followed by a debate on what kind of public policy measures could be put in place. This meeting was attended by the President of the Republic of Rwanda, Paul Kagame, as the current chairperson of the African Union, and the Federal Chancellor of the Republic of Austria, Sebastian Kurz, as Austria holds the rotating presidency of the Council of the EU, and African and European heads of state or government, CEOs of major global companies as well as innovative entrepreneurs and stakeholders. The high‑level forum’s leitmotif “Taking cooperation to the digital age” promoted innovation and digitalisation as important enablers for our future development, so that everyone can benefit from the ongoing digital transformation. A lot of innovation is happening both in Africa and in Europe, with many creative start‑ups providing solutions for different emerging challenges, and this forum was an opportunity to showcase them and to learn from each other. The high‑level forum provided a space to reflect and act on what needs to be done to secure prosperity and competitiveness on both continents as well as to deepen the relationship between Africa and Europe in all its aspects with a specific focus on taking cooperation to the digital age. 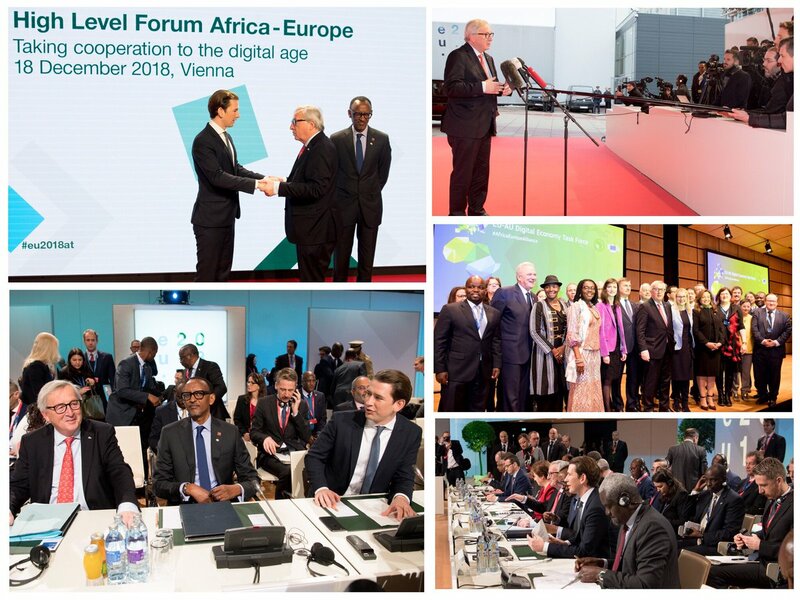 During the high‑level segment, political leaders and CEOs were invited to share their vision on the current and future cooperation between Africa and Europe regarding innovation and digitalisation. High-level dialogue "Taking cooperation to the digital age"
African and European political leaders, representatives of international organisations and CEOs of major companies will be invited to share their vision on the current and future cooperation between Africa and Europe regarding innovation and digitalisation. The following round tables and side events were organised by LivingLab/Kenya and ECOTEC/Austria (African-European collaboration), the Austrian Federal Ministry of Education, Science and Research (cooperation initiative in higher education and research), Brainbows/R20AWS (mobilising finance for climate action), the European Investment Bank (connectivity in Africa) as well as the Austrian Development Agency and the Austrian Foundation for Development Research (ÖFSE) (connecting cities). .
13 December 2018. Webinar. The Global Donor Platform for Rural Development organised a webinar on aligningpolicies and programmes on agriculture and Aid for Trade. Agriculture and Aid for Trade (AfT) are two key areas of development cooperation that share many synergies, but are still falling short of coordination. This gap is even larger if we compare agriculture and trade per se. The DONOR PLATFORM’S WORK STREAM ON INCLUSIVE AGRIBUSINESS & TRADE has been committed to address these gaps and increase the dialogue between the trade/AfT and agriculture departments of donor agencies, resulting in the inclusion of trade issues into agriculture and rural development (ARD) programming and vice-versa. To enrich this dialogue, the Donor Platform commissioned a study (in press) that looks into areas and opportunities to enhance alignment and cooperation between the ARD and Aid for Trade (donor) communities. The study was based on consultations with different informants from donor agencies and knowledge institutes, as well as review of documents. It aims to set the stage for practical, evidence-based exchanges about how to deal with the challenges of implementing policy coherence and complementarity between these two communities. It provides examples of where alignment is already taking place, such as in the project Alliances for Action (by the International Trade Centre), FAO's Aid for Trade Africa programme, or the COMESA Regional Agricultural Investment Plan. This webinar (video recording forthcoming) shared the results of this study and invited participants to share their own experiences in this field. The study in currently in press and will be available shortly. Paul Engel 2017. Aligning ARD and trade policies to improve sustainable development impact. (Discussion Paper 221). Maastricht: ECDPM and GDPRD. How to formulate and deliver compelling messages about your research. On the 14th of december 2017 AgriFose2030 arranged the webinar “How to write policy briefs in the field of sustainable agriculture and food security”. You can watch the webinar here. In the AgriFoSe2030 programme, the science we do is about change: about how to improve food security and make farming practices more sustainable. But new knowledge does not always lead to change. We need to bring our science to the change-makers, to help them understand the implications. To read WRI's recap of the report, visit "How to sustainably feed 10 billion people by 2050, in 21 charts", and to read the original report in full, visit WRI. 11 December 2018. The e-Agriculture and The Technical Centre for Agriculture and Rural Cooperation (CTA)'s Unmanned Aerial Systems Community (UAV4Ag) held this webinar "Drones for Agriculture: potentials and challenges on the African continent". There is a general consensus that smallholder farming needs to become more productive, sustainable and profitable. Unmanned Aerial Systems (UAS) – or drone-based systems – services can help make this possible by bringing some of the tools of precision agriculture to producers, which include large and medium-scale holdings and associations of small-scale farmers growing the same crop in contiguous areas. UAS can help increase the returns to farmers and create knowledge-intensive new employment opportunities in rural areas, offering educated youth an alternative to migrating to the cities. UAS services are increasingly adopted in developed countries. On the other hand, the deployment of the technology in Africa faces a number challenges which the speaker will present together with enabling environments which are progressively materializing. Presentation delivered by Giacomo Rambaldi of CTA. The aim of this event was to inform the development of a process for strategic foresight in CGIAR drawing on the outcomes of the two foresight workshops—specifically, the reflections related to key drivers of change and trends that will influence the agri-food system. Synthesize results of ISPC foresight exercise on drivers of change and future trends affecting the global agri-food systems, and their implications for CGIAR research agenda. Consider options for the development of future Independent Science and Development Council (ISDC) work on foresight and horizon scanning. The book Agriculture and Food Systems to 2050 (World Scientific, published 20 November 2018, 678 pages) was launched during the event. This book features a comprehensive foresight assessment, exploring the pressures — threats as well as opportunities — on the global agriculture & food systems between now and 2050. The overarching aim of this book is to help readers understand the context, by analyzing global trends and anticipating change for better planning and constructing pathways from the present to the future by focusing on the right questions and problems. The book contextualizes the role of international agricultural research in addressing the complex challenges posed by UN 2030 Agenda and beyond, and identifies the decisions that scientific leaders, donors and policy makers need to take today, and in the years ahead, to ensure that a global population rising to nine billion or more combined with rising incomes and changing diets can be fed sustainably and equitably, in the face of the growing climate threats. Panel 3: Disruptive technologies & innovation; Leapfrogging for development – opportunities for CGIAR? The Biodiversity for Food and Nutrition Initiative shares a new open-access guide that collects lessons learned from four partner countries to help others harness agricultural biodiversity to transform the food system for development, food security and nutrition. At the recent 2018 UN Biodiversity Conference COP14 in Sharm El-Sheikh (COP14 of the CBD), the BFN team hosted a side event in which it launched an open-access toolkit entitled “Biodiversity Mainstreaming for Healthy ; Sustainable Food Systems”. This guide compiles case studies from all four countries, key resources and methodologies to share the knowledge accumulated by the BFN Partners, promoting the conservation and sustainable use of local biodiversity. 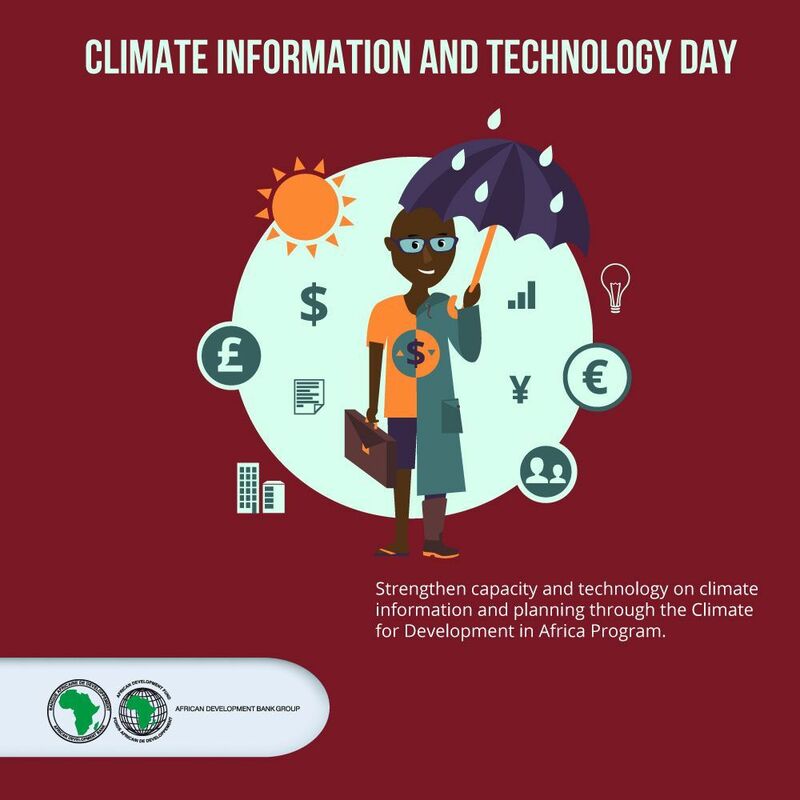 It is free to view and download from the BFN website and CGIAR CGSpace Repository. 11-17 December2018. Cairo. 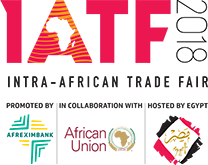 The Intra-African Trade Fair 2018 is providing a platform for sharing trade, investment and market information. 13 December 2018. Life streamed. Strategies for promotion of the Agro-processing value chain in Africa. 15 December 2018. Life streamed. Informal cross-border trade in Africa – What do we know? How can it be supported? 11-17 December 2018. Cairo. The Intra-African Trade Fair 2018 is providing a platform for sharing trade, investment and market information. 12 December 2018. Katowice, Poland. Agriculture Advantage 2.0 - Closing session: Stepping up food systems transformation under a changing climate - COP 24 side event. 13 December 2018. Webinar. The Global Donor Platform for Rural Development organises a webinar on aligning policies and programmes on agriculture and Aid for Trade. 13 December 2018. Life streamed. Strategies for promotion of the Agro-processing value chain in Africa. 11-17 December 2018. Cairo. 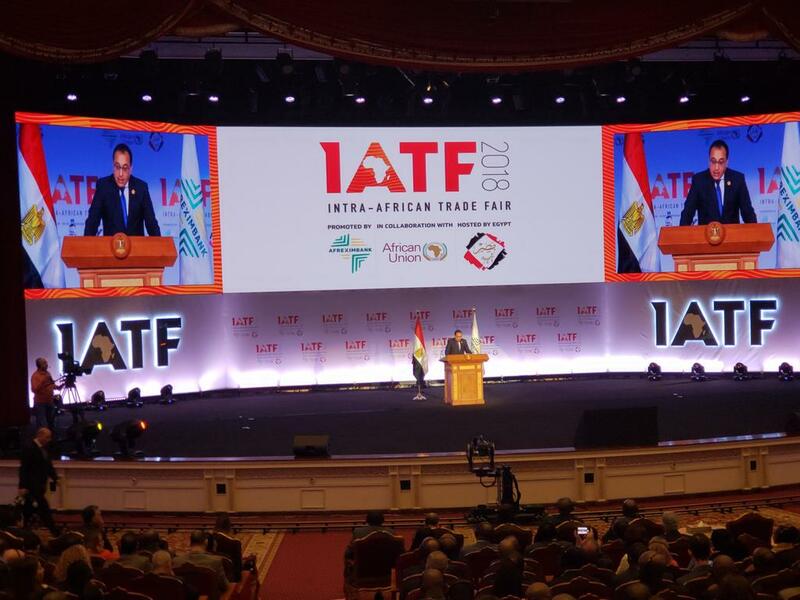 The Intra-African Trade Fair 2018 is providing a platform for sharing trade, investment and market information. 14 December 2018. Webinar. Conservation Agriculture for Commercial Vegetable Home Gardens: Field Experiences on Yield, Labor, Pests, Diseases and Water Management. 18 December 2018. Life streamed. Brussels, Belgium. InfoPoint Lunchtime Conference: Coffee: Behind the success story"
10-12 January 2019. International Conference on Aquatic Resource and Aquaculture for Sustainable Development, ICAR-AQUAS-2019. 17-19 January 2019. Berlin. 11th Global Forum for Food and Agriculture (GFFA). "Agriculture Goes Digital – Smart Solutions for Future Farming”.Realising trends, insights and predictions from large agricultural data sets, and using digital tools for advisory services have huge potential for smallholder farmers. 29 – 31 May 2019 Arusha, Tanzania. 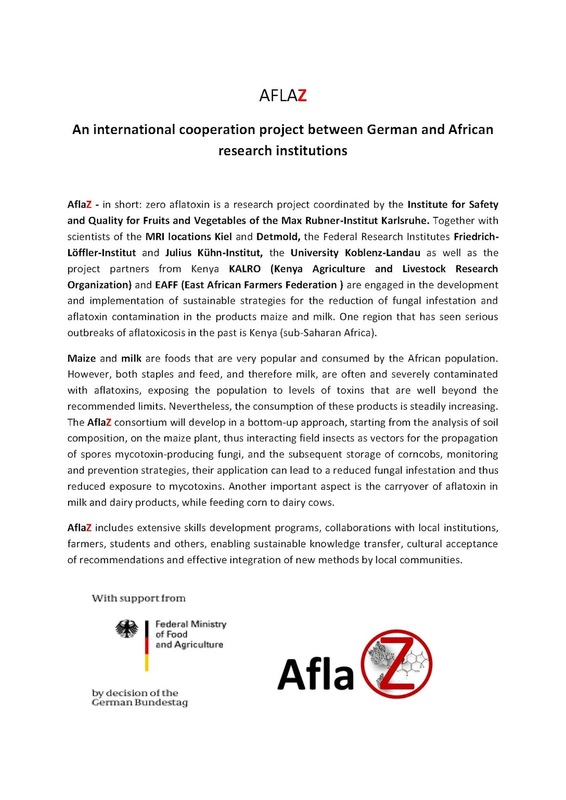 CfP Conference: Pesticide Politics in Africa. 18-20 June, 2019. Safari Park Hotel & Casino Nairobi, Kenya. 1st All Africa Congress On Synthetic Pesticides, Environment, Human And Animal Health. 29 September - 5 October 2019. Curitiba, Brazil. XXV IUFRO World Congress 2019. "Forest Research and Cooperation for Sustainable Development"
28-31 October, 2019. Cairo, Egypt. 8th Africa Agriculture Science Week and FARA General Assembly. 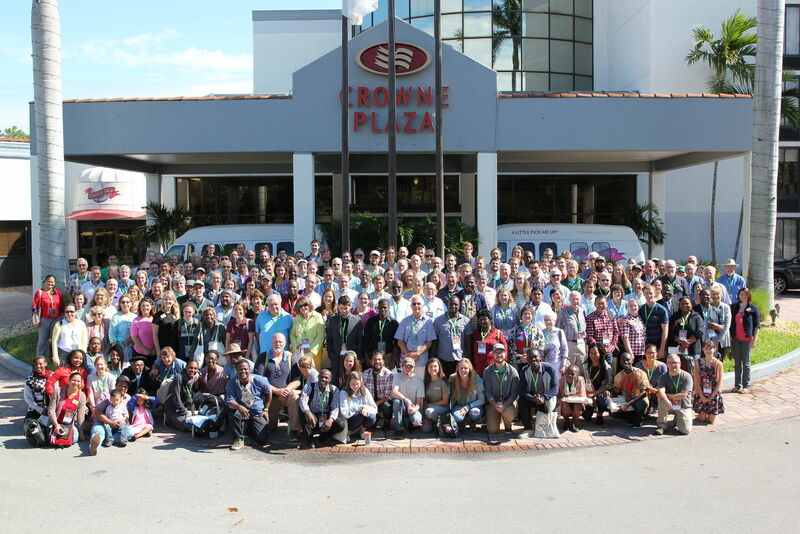 This the biggest assembly of actors in Agricultural Research for Development organized every three (3) Years by the Forum for Agricultural Research in Africa (FARA) and Partners at the regional (ASARECA, CCARDESA, CORAF, NAASRO and AFAAS) and country levels (NARES). 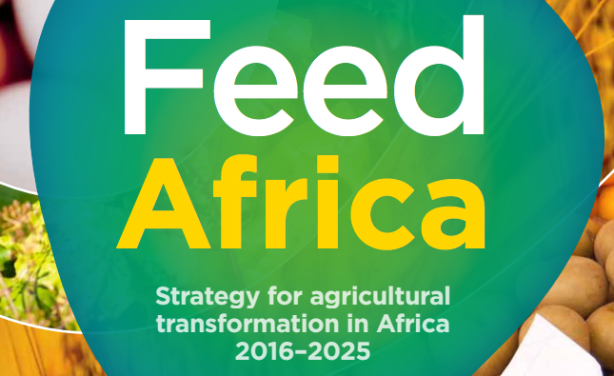 The 2019 edition is hosted by the Egyptian Agricultural Research Centre (ARC) and the North Africa Agricultural Sub-Regional Research Organization (NAASRO). You don'y want to miss this. 13 - 15 November 2018. Fort Myers, Florida, US. This year marked the 25th Anniversary of the US based Christian faith organisation ECHO International Agriculture Conference. 2-14 December 2019. Katowice, Poland. COP24 is the informal name for the 24th Conference of the Parties to the United Nations Framework Convention on Climate Change. organizations, which brought together over 400 diverse stakeholders to put forward a vision and action agenda for transforming agriculture under climate change. In its second year at COP24, the series will focus on implementing the action agenda and realizing the vision for transformation. The event series will link multiple side events held during the 2 weeks of COP24 into a single theme, “Agriculture Advantage 2.0: Transforming food systems under a changing climate”, with the effect of a day-long conference, spread out over multiple days. The aim of the event series will be to step up actions to drive a transformation within global food systems that will help to achieve food security, adaptation to climate change, and mitigation of greenhouse gas emissions from the sector. Showcase opportunities and emerging examples of transformative actions in food systems in response to climate change. 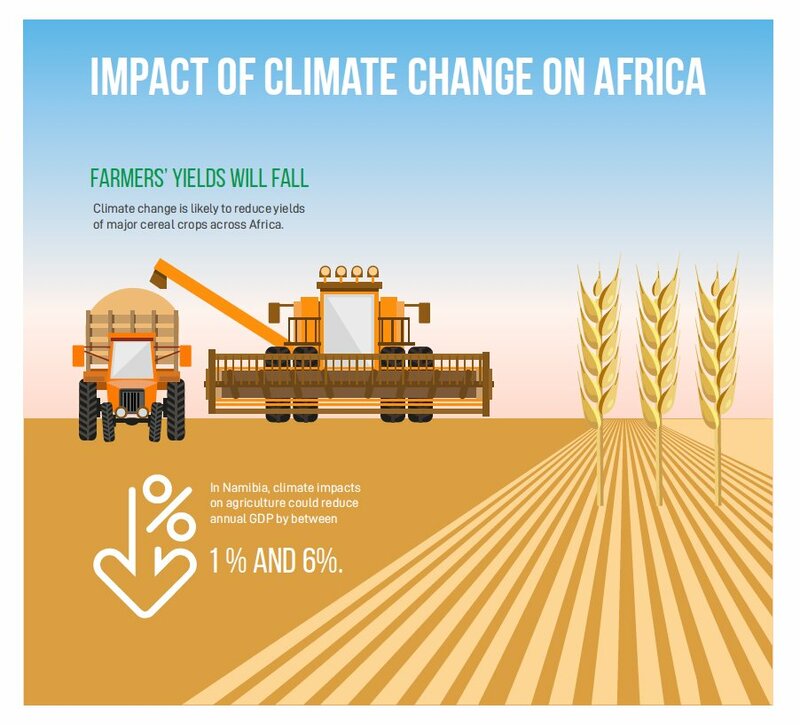 Create a collective case for investment in transformative climate actions in agriculture. Chart a path for bringing expanded partnerships to scale up transformative climate actions in agriculture. 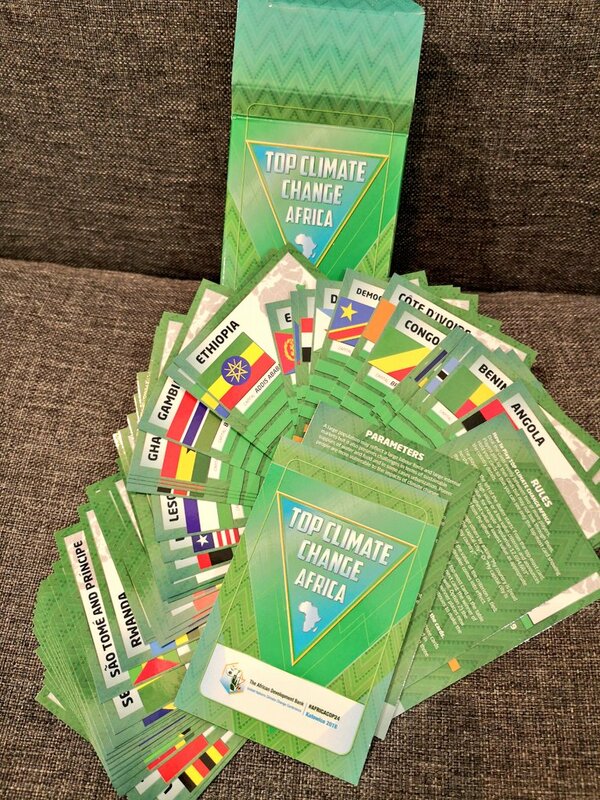 Inform the Koronivia Joint Work on Agriculture under the UNFCCC. 3 December 2019. Africa Day, a joint initiative of the African Development Bank (AFDB), African Union Commission UN Economic Commission for Africa and the New Partnership for Africa's Development (NEPAD), was organized, this year, around the theme, "The Africa Nationally Determined Contributions (NDC) Hub: Going further and faster with NDC implementation in support of Agenda 2063." Four Pan-African institutions along with the Kingdom of Lesotho and the Republic of Gabon. The Pan-African Parliament (PAP) and the African Risk Capacity (ARC) co-organized the day. Africa Day 2018 focused on how to ensure that all development partners deepen their partnerships and commitments to deliver concrete actions and resources for African countries to deliver their NDC targets and enable the imlpementation of the Paris Agreement. 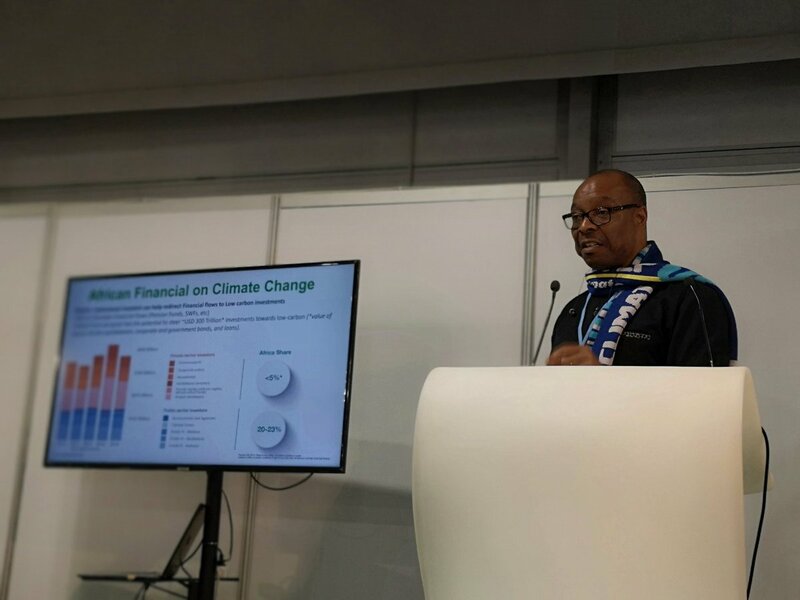 Highlights of the event included a high-level statement by Gabon’s Minister of Foreign affairs, Regis Immongault, on behalf of President Ali Bongo Ondimba, Coordinator of the Committee of African Heads of State and Government on Climate Change (CAHOSCC). Josefa Sacko, African Union Commissioner for Rural Economy and Agriculture represented the chair Person of the African Union commission, Moussa Faki Mahamat. A high level Ministerial panel and a Parliamentary dialogue provided a platform for detailed discussions on this year’s theme and Africa’s position at COP24. The last segment of the Africa Day was an expert panel discussion from various technical institutions on the theme of the day. “As Parliamentarians we carry the hopes, aspirations and concerns of the peoples of Africa. 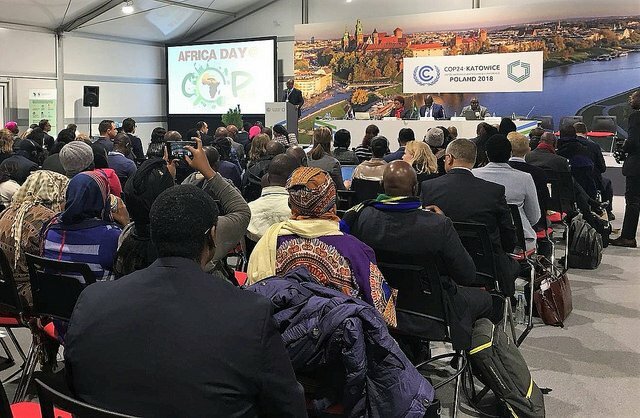 The Africa Day accords us an opportunty to emphasize the need for parties to adopt concrete actions towards effective and adequate implementation of the Paris Agreement, especially in the context of the African Climate Legislation Initiative (ACLI),” Kone Dognon, Chairperson of the Pan-African Parliament Committee for Rural Economy, Agriculture, Natural Resources and Environment. Durign this conference Cornell’s Alliance for Science interviewed experts on the role of agricultural biotechnology in conserving biodiversity. Dr Margaret Karembu, director of ISAAA AfriCenter Kenya, noted that agricultural biotech can increase productivity per unit of land and reduce the release of chemicals harmful to pollinators. Biotechnologist Dr Manuela Campa of Stellenbosch University in South Africa reduces food waste, making land use more efficient. Both experts noted that biodiversity is the source of genes on which biotechnological innovation depends. 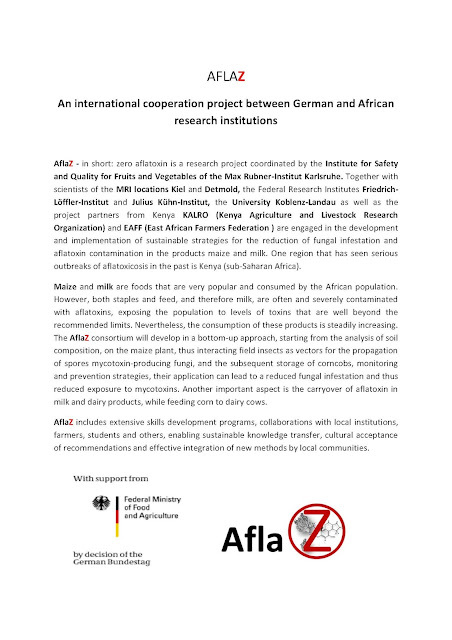 It is therefore a surprise that Tanzania’s decided not only to ban all GM crop trials but also to order the Tanzania Agriculture Research Institute (TARI) – which has been conducting field trials of GE drought- and insect-resistant maize and whitefly- and virus-resistant cassava crops – to immediately destroy all evidence of its research thus far. Dismayed Tanzanian scientists say that this represents a setback of a decade’s worth of biotech advancement in the country. 3 December 2018. This was the forth event in the series ‘Frontiers in Development Policy’ and it analyzed the importance of the link between both the rural and urban dimension. In particular the focus was on recognizing the role of small towns and enhancing rural-urban linkages in making food systems more effective and inclusive. Firstly, the session explored the urban-rural dynamic in Africa and implication for food systems, presenting some cases of agro-food sector development in small-medium sized towns. Finally, it discussed concrete approaches that build, transform or strengthen urban-rural linkages to achieve food security for all.